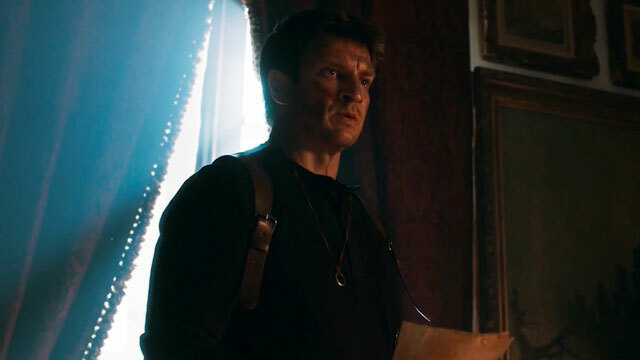 Nathan Fillion stars as Nathan Drake in a fan-made Uncharted movie. What more do you need? The movie is only fifteen minutes long, but it has everything a fan of Uncharted would want: action, smart-mouthing, and historical conspiracies. Hopes for an official Uncharted movie are slowly dying. It’s been stuck in development hell for quite a while, and there haven’t been any meaningful updates on the progress in quite a while. Fortunately, some creative people have stepped up to the plate and made a short Uncharted film themselves, directed by Allan Ungar and posted on his YouTube channel. And, as a special bonus, Nathan Fillion himself is playing Nathan Drake. Personally, I can’t think of a more fitting casting choice, but then again, I’d cast Nathan Fillion as everything. You can check out the full fifteen-minute movie below. Let’s just hope that Sony’s legal team doesn’t come down and just plain remove it. Now, of course, we won’t spoil anything that happens in the film here. You really should just watch it for yourself. Personally, I’m not that familiar with Uncharted, and even I liked it. It has everything you’d expect: conspiracies, quips, swashbuckling action, the works. Sure, some seams kinda show due to budgetary constraints, but it’s nothing that will hamper the experience too much. This is the best we’re going to get in terms of an Uncharted movie in the foreseeable future, so enjoy what you have. In a recent interview with Kotaku, Nathan Fillion explained why this project happened. He said: “We wanted to scratch an itch—we wanted to see something, and we didn’t want to wait. Our goal has been achieved. If something comes from this, that’s just icing on the cake.” Will Sony take notes from this? We’ll have to wait and see.